Mr. Arun Lal has been in employment for 5 years now. He changed the company and wanted to know about his previous EPF account details. He was wondering, where he can see the details of his EPF accounts. Many of us go through the same situation and wonder about PF transfer from one account to another. 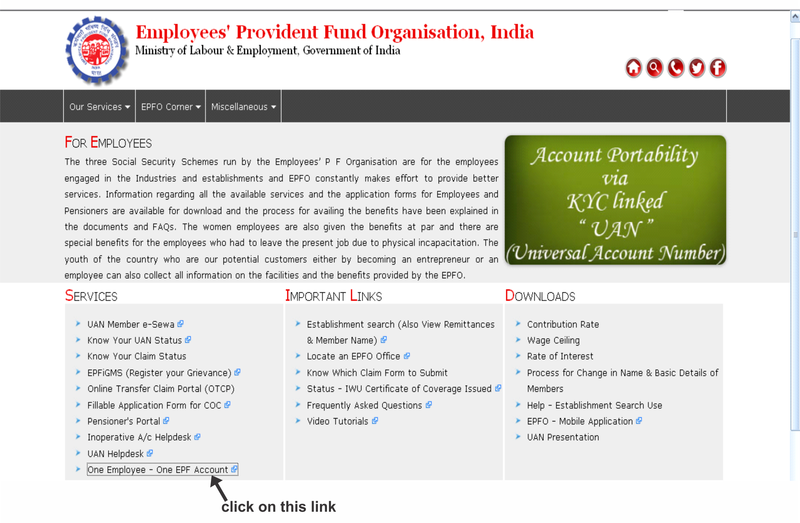 Employee Provident Fund Organisation(EPFO) has launched a new initiative ‘One Employee – One EPF Account‘, with an objective to consolidate and view multiple EPF accounts under one platform and provide the facility of balance transfer from the previous accounts to the currently active EPF account by linking it to UAN. Another objective of this scheme is to de-duplicate multiple EPF accounts. Both the UAN and the PF account number will be mentioned in one’s salary slip. The Universal Account Number(UAN) is a 12 digit number allotted to all employees subscribed to the EPF. The UAN is a major step in shifting the EPF service to the online platform, thereby making it more user-friendly. The UAN of the employee is going to remain same throughout the service life and will be used by EPFO as a single number for his/her identity. One also has to link his/her UAN to Aadhar, PAN and bank account. If you do not have a UAN then you have to contact your employer, who will send the request to EPFO for the creation of UAN along with the member identification number (ID). Member ID is the number allotted by the EPFO to the employer for the deposit of PF in employees account. If you already have a UAN, then you just have to provide it to your new employer, and the employer will link the member ID to your UAN. With the introduction of UAN, EPF withdrawal and transfer is going to be a much easier and faster process. You can view the EPF details of all your EPF accounts at one place. To link your multiple EPF accounts, you first need to have an activated UAN, and your currently active EPF account must be linked to the UAN in which the money has to be transferred. Also, the KYC details should have been verified by your current employer. 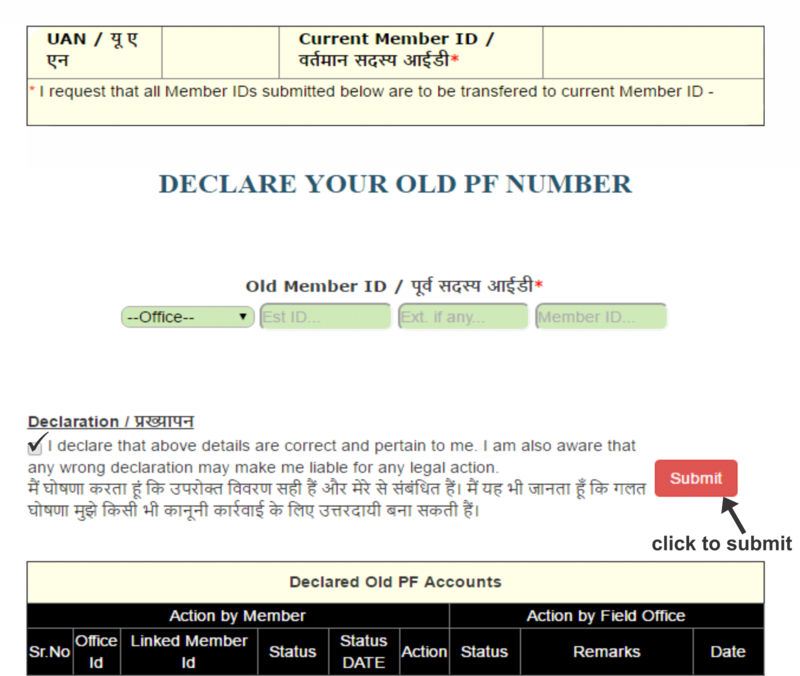 Along with the UAN, EPF will also provide a PF account number linked to UAN which will be alphanumeric. The first two entries in the number will depict the Regional PF Office where your company is contributing the money. The next entry will be in digits, comprising the employer’s code succeeded by the employee’s account number. 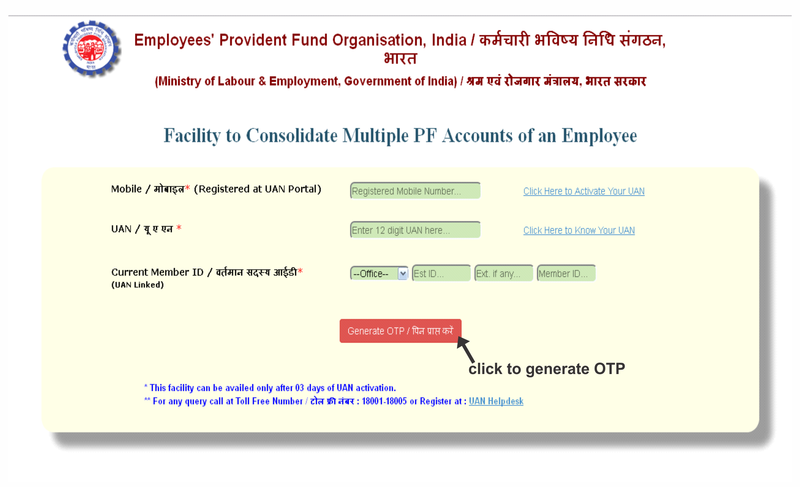 You have to first enter your mobile number, UAN, currently active EPF account number and then click on Generate OTP. An OTP will be sent to your registered mobile number. Once you receive the OTP, you have to enter and verify the OTP. 3. After the verification of OTP, you will be redirected to the declaration page where you need to enter all your old EPF account numbers, check the declaration box and click on the submit button. 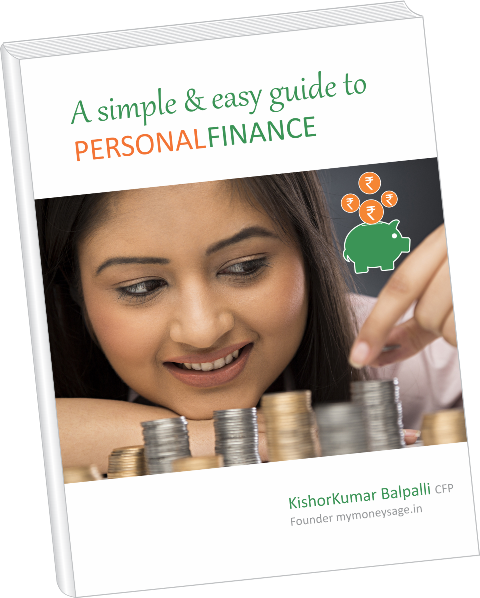 Note: You can add up to 10 EPF account numbers on this page. Once you have added the details, the EPF account numbers will be directed to the respective regional PF Offices for processing. The PF Offices will further contact the employers, and once the PF claim is verified, the transfer will take place. Subscribers have been advised by the retirement fund body to link all their PF account numbers with the Universal Account Number(UAN). EPFO is looking to make Aadhaar the primary identifier for consolidating PF accounts after the enactment of the Aadhaar Act, 2016. If your Aadhar is linked to UAN, then it’s easy for the EPF Office to verify your details and send it to the previous employers for the verification. If the verification from the employer is successful, money will automatically get transferred to the currently active EPF account and the employee will be informed through the SMS on the registered mobile number. 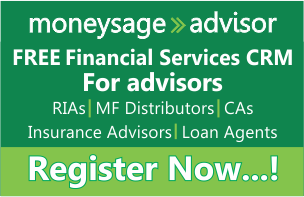 If in case there will be any problem after filing the PF balance transfer request, the EPFO will contact you. Kindly make sure that your personal details such as name, date of birth, father’s name, etc. in your currently active EPF account matches the details in your old EPF accounts. In case, Aadhar is not linked to UAN; EPFO will call the employees and ask them to furnish the required proofs. Employees can also seek the assistance from EPFO for online transfer of money through Online Transfer Claim Portal(OTCP). Through this facility, the transfer request gets logged in with EPFO immediately. The benefit of using OTCP is that the request gets stored in the EPF system and can be tracked actively. However, it still needs to be attested by the present or past employer. The idea behind UAN linked EPF account is to make the entire process of PF withdrawal and transfer hassle free without any intervention of the employer. So, if your EPF account is linked to UAN, the process is quite simple. Whenever you change your job next time, you just have to give the UAN number to your new employer, and they will verify the know-your-customer (KYC) details and open an EPF account linked to the UAN. 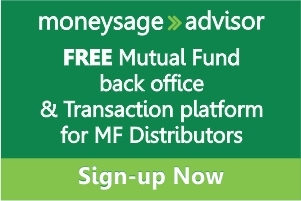 Money from the previous account will be transferred automatically. Value, Growth or GARP: Which is a better investing strategy? yes, same happened with me, but if you provide he pf number/ memerid of ur last employer then it takes. I guess it’s taking previous pf as current, i don’t know how to get it corrected. when I went to epfo->view->service history it shows previous and current both active having DOE as not available I gues here is the problem, for previous pf DOE needs to be updated. I have two UAN it seems, one holding older PF accounts and one with current EPF account of different company. How do I link two UANs? And in one of older EPF, I find one claim status : claim against para 57(1). I have not consented to or requested any claim! Being KYC Compliant is the foremost requirement to be able to operate your PF Account online. Whether it’s a PF transfer or a withdrawal claim, you need to ensure that your account is KYC Compliant. 4. Enter all the previous EPF accounts numbers and current number. 5. Claim needs to be attested by the employer. In some cases, you may have to submit form 13. 6. On filling in the details, a PIN will be generated and sent to your registered mobile number. 7. You will get a tracking id to track progress of your application. 8.Print form 13, sign it & submit it to the employer. 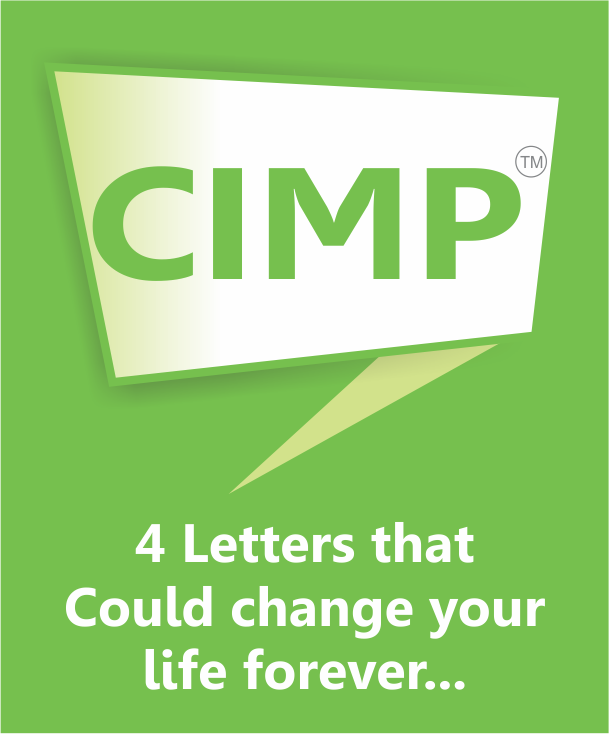 This will complete your claim submission process. It should not take more than a fortnight to complete the transfer. i have one UAN number but to that two member ids are mapped.i cant draw the money now.so what should i do to get any one id between two member id to the same UAN? I am trying to combine my 2 PF accounts by following above steps but It is giving me “Invalid Credential” error in step 2 even though I am entering the correct details. How to proceed further? I am getting the same error while trying to generate the OTP. Can’t seem to move ahead with this. Whats the solution, please help. I am also getting same error to combine my 2 PF accounts by following above steps but It is giving me “Invalid Credential” error in step 2 even though I am entering the correct details. How to proceed further? I am trying to add my previous PF numbers to exiting UAN , as per steps suggested by you. But , while adding old PF Number ,system throws error – Not found in Member Master, Can not be added. Any clues to resolve this error ? I’m joined in new company i got a new pf no but not a UAN no. How to join that new account into my old UAN account.kindly help me for the further process. I am not working in india now, but i have my old PF account.Now i wanted to see the balance amount ,but not able to see.I have activated UAN also ,but not possible to assignmy PF num .Please help me how to do link Pf num to my UAN. Thank you. unable to syn my two pf no.s . It gives me an error that no pf account found with this UAN. Although i can see both of my pf account under my pf passbook .My second company is linked with my UAN currently but the company previous is not showing up when i try to sync.